Outdoor recreation or outdoor activity refers to recreation engaged in out of doors, most commonly in natural settings. 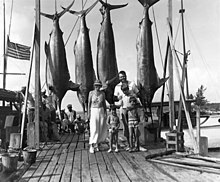 The activities themselves — such as fishing, hunting, backpacking, and horseback riding — characteristically determine where they are practiced. They are pursued variously for enjoyment, exercise, challenge, camaraderie, spiritual renewal, and an opportunity to partake in Nature. Though the activities are inherently lean to sports they nonetheless do not all demand that a participant be an athlete, and competition generally is less stressed than in individual or team sports organized into opposing squads in pursuit of a trophy or championship. [a] When the activity involves exceptional excitement, physical challenge, or risk, it is sometimes referred to as "adventure recreation" or "adventure training", rather than an extreme sport. Other traditional examples of outdoor recreational activities include hiking, camping, mountaineering, cycling, canoeing, caving, kayaking, rafting, rock climbing, running, sailing, skiing, sky diving and surfing. As new pursuits, often hybrids of prior ones, emerge, they gain their own identities, such as coasteering, canyoning, and fastpacking. Outdoor recreation consists of a range of various outdoor activities. Although many are considered sports, participants need not associate with teams, competitions or clubs. Activities include backpacking, canoeing, canyoning, caving, climbing, hiking, hill walking, hunting, kayaking, and rafting. Arguably, broader groupings include water sports, snow sports, and horseback riding. The outdoors as a physical or social setting may meet the needs of physical health, self-sufficiency, risk-taking, the building of social ties, and the needs of achievement (such as practicing, enhancing and challenging skills, testing stamina and endurance, and seeking adventure or excitement). The outdoors can be an environment in which people "show what they can do". Pleasurable appreciation encourages experiences of being "let in on nature's show". Enhancement of inner perceptual and/or spiritual life may be experienced through outdoor activities and outdoor-related activities such as nature study, aesthetic contemplation, meditation, painting, photography, archeological or historical research, and indigenous culture among others. These activities may also be physically rewarding. Outdoor activities may also be pursued for the purposes of finding peace in nature, enjoying life, and relaxing. They are alternatives to expensive forms of tourism. Outdoor activities are also frequently used as a medium in education and team building. Trekking is about enjoying a great walking holiday. Treks can be day hikes, overnight or extended hikes. An example of a day trek is hiking during the day and returning at night to a lodge for a hot meal and a comfortable bed. Trekking can be more enjoyable when undertaken while being generally physically fit. Physical preparation for trekking includes cycling, swimming, jogging and long walks. To ensure the safest experience possible it is generally a good idea to have some form of experience with basic survival skills, first aid, and orienteering when going for extended hikes or staying out overnight. It's also expected that backpackers leave no trace while enjoying the outdoors. The activity of mountain biking involves steering a mountain cycle over rocky tracks and around boulder-strewn paths. To tackle the trails, the requirements are physical strength, stamina and a strong mountain cycle. Mountain bikes or ATBs (all-terrain bikes) feature a rugged frame and fork. Their frames are often built of aluminum so they are lightweight and stiff, making them efficient to ride. Many styles of mountain biking are practiced, including all mountain, downhill, trials, dirt jumping, trail riding, and cross country. The latter two are the most common. Balance, core strength, and endurance are all physical traits that are required to go mountain biking. Riders also need bike handling skills and the ability to make basic repairs to their bikes. Advanced mountain bikers often attempt technical descents as well as some of the more intense styles of mountain biking, such as down hilling and free riding. Canyoning is an activity which involves climbing, descending, jumping and trekking through canyons. The sport originates from caving and involves both caving and climbing techniques. When people mention canyoning they are typically referring to descents that involve rope work, down-climbing, or jumps that are technical in nature. Canyoning is frequently done in remote and rugged settings and often requires navigational, route-finding and other wilderness skills. University outdoor recreation programs are becoming more popular in the United States. Universities often offer indoor rock climbing walls, equipment rental, ropes courses and trip programming. A few universities give degrees in adventure recreation, which aims to teach graduates how to run businesses in the field of adventure recreation. Along with hands-on training on activities included in adventure recreation, basic courses needed for any business, such as accounting, are required to obtain a degree. The UK house of commons' Education and Skills Committee supports outdoor education. The committee encourages fieldwork projects since it helps in the development of ‘soft’ skills and social skills, particularly in hard to reach children. These activities can also take place on school trips, on visits in the local community or even on the school grounds. An outdoor enthusiast is a gender-neutral term for a person who enjoys outdoor recreation. The terms outdoorsman, sportsman, and woodsman have also been used to describe someone with an affinity for the outdoors. 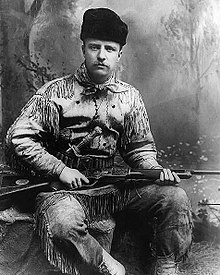 Some famous outdoor enthusiasts include U.S. president Teddy Roosevelt, Robert Baden-Powell, Ernest Hemingway, Ray Mears, Bear Grylls, Doug Peacock, Richard Wiese, Kenneth "Speedy" Raulerson, Earl Shaffer, Jo Gjende from Norway, Saxton Pope, Randy Stoltmann, Christopher Camuto, Eva Shockey, Jim Shockey, Henry Pittock, Eddie Bauer, Gaylord DuBois, Euell Gibbons, Clay Perry, Arthur Hasketh Groom, Bill Jordan, and Corey Ford. Publications catering to the lifestyle and those interested in it include magazines such as Outdoor Life. Sparsely populated areas with mountains, lakes, rivers, scenic views, and rugged terrain are popular with outdoor enthusiasts. In the United States, state parks and national parks offer campgrounds and opportunities for recreation of the sort. In the UK, all of rural Scotland and all those areas of England and Wales designated as "right to roam" areas are available for outdoor enthusiasts on foot. Some areas are also open to mountain bikers and to horse riders. Culinary techniques and foods popular with outdoor enthusiasts include dutch ovens, grilling, cooking over "open fires" (often with rock fire rings), fish fries, granola, and trail mix (sometimes referred to as GORP for "good old raisins and peanuts"). ^ The term "outdoor recreation" may also refer to a team sport game or practice held in an outdoor setting, such as an under-12 flag football league, often organized by a municipality or camp, but this is merely a case of shared nomenclature. ^ "Outdoor Recreation". national industry insights. Australian industry and skills committee. Retrieved 26 March 2019. ^ "Cycling Mountain Bike - Summer Olympic Sport". olympic.org. 15 May 2018. ^ Mintz, Daniel. "The different mountain biking disciplines and bikes explained". Trail Guide and Reviews - iBikeRide. Retrieved 2017-12-28. ^ "Mountain bike styles explained". BikeRadar. Retrieved 2017-12-28. ^ House of Commons, Education and Skills Committee (2005). "Education Outside the Classroom" (PDF). Davidson, L., & Stebbins, R.A. (2011). Serious Leisure and Nature: Sustainable Consumption in the Outdoors. Houndmills, UK: Palgrave Macmillan. This page was last edited on 11 April 2019, at 02:34 (UTC).